Produced by Grammy-Nominated mandolinist Matt Flinner, The Golden Angle presents an original body of instrumental string band music. 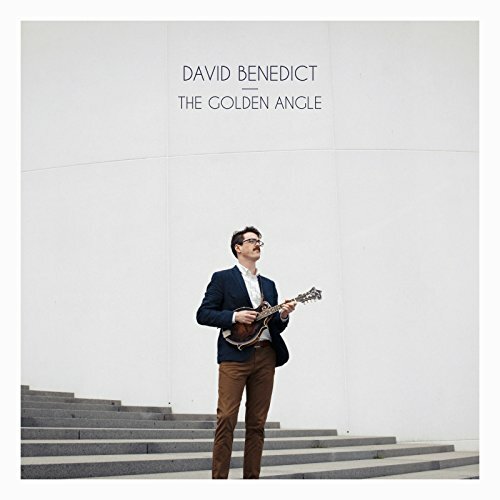 This new album, recorded four years after David’s last solo release Into the True Country, displays a new level of musical maturity and individuality. With an emphasis on virtuosic instrumental interplay and memorable melodies, the record weaves a complex yet compelling soundscape, featuring collaborations with a host of celebrated and award-winning bluegrass musicians such as David Grier (guitar), Mike Barnett (fiddle), Missy Raines (bass), Ross Martin (guitar), Stuart Duncan (fiddle), and Wes Corbett (banjo).